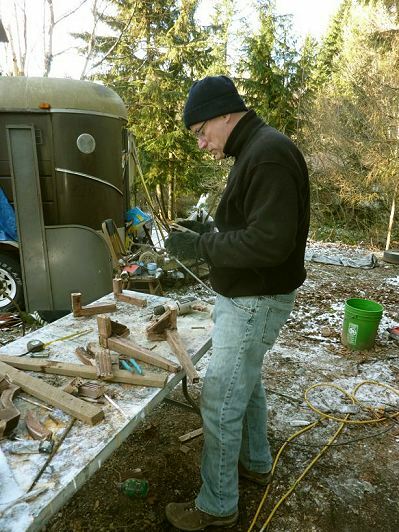 The Issaquah Press has a good article here about this project. 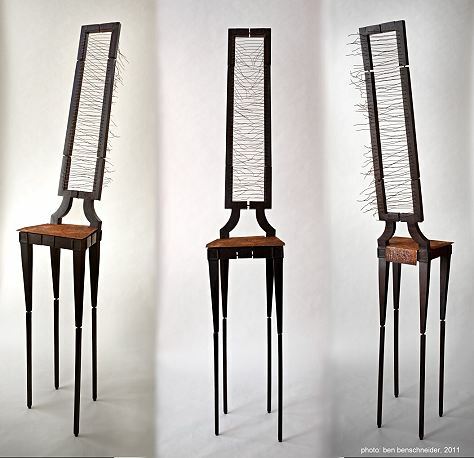 Basically, 10 chairs were donated to a group of 10 artists/designers who were given the task to turn each chair into a piece of art. 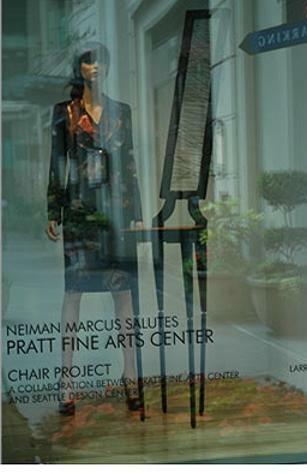 The chairs were auctioned off in August 2011, with all proceeds going to Pratt Fine Arts Center, Seattle. 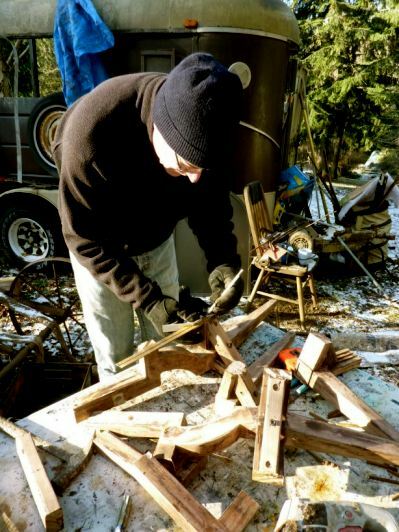 Larry and Tyler Engle, a Seattle architect, were matched up and began conceptual work in Dec 2010. 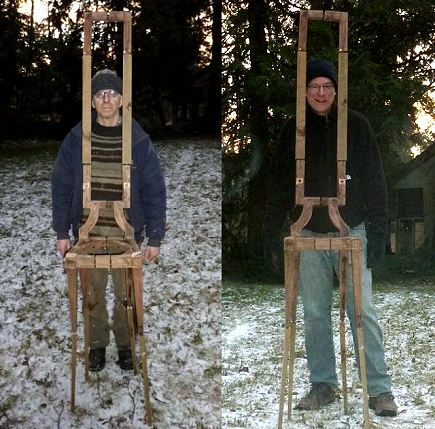 Below are photos of the process and end result. 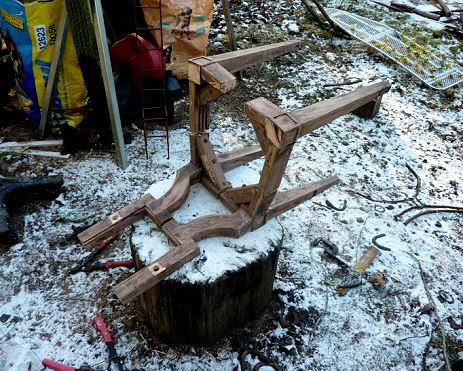 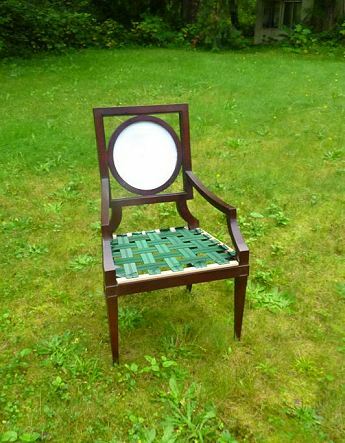 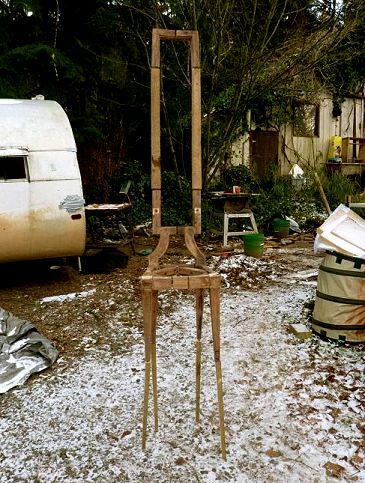 The Chair, stripped and left out in the elements to weather.